I can’t believe the number of citrus fruit rinds that I’ve trashed (I’ll compost one of these days) because I didn’t know about this trick. Now, when I have oranges in the house for snacking, lemons for seasoning fish, or limes for a tangy rice, I will dry and powder their rinds. No more will I need to make a special trip to the market for just a touch of citrus flavor. I’ll be a quick draw citrus cowgirl – my pistol teaspoon loaded with gun citrus powder ready to take on any recipe that comes my way (I had to bring in the Wild West theme somehow). 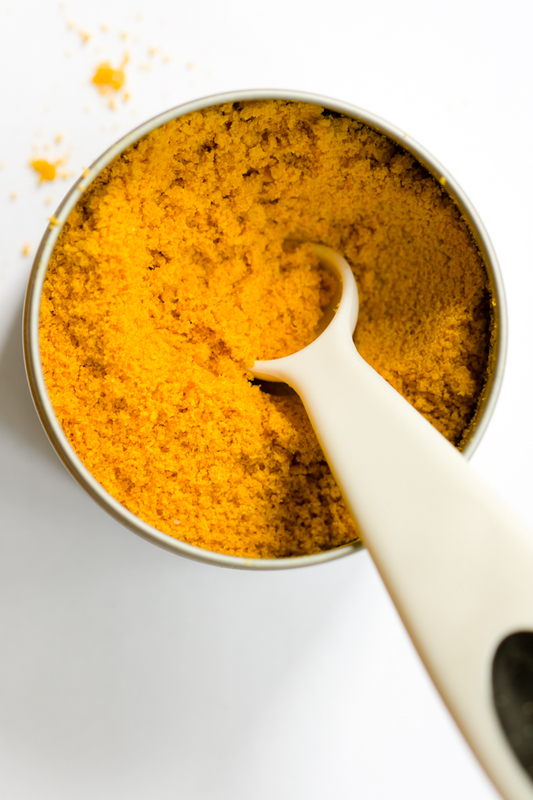 Use powdered zest exactly as you would fresh zest (1 tsp of fresh zest = 1 tsp of powdered zest). While it’s just as strong as its fresh counterpart, powdered zest has a more mellow, robust flavor (not quite as acidic). In a VERY informal taste test of two orange maple syrups – one made with fresh zest and the other with powdered zest – both Jonathan and I preferred the powdered. I realize that this is not very useful data, but I encourage you to perform your own tests at home and report back. Peel off the rind before eating or juicing your fruit. Try not to get too much of the white – it’s bitter. Line a baking sheet with parchment paper and fill the sheet with the rinds. Don’t overlap them too much. bake at your oven’s lowest temperature (ours is 170 F) for about 4 hours or until the rinds are dry are curled. Finely grind the dried rinds in a spice grinder or with a mortar and pestle . As long as the powdered zest is completely dry, it should last for about a year (I’ve read this, but haven’t personally put it to the test). Store it in the refrigerator to prolong the shelf life. Chocolate and Zucchini did an excellent post on roasted lemon powder. She uses a slightly different method. I used my powdered orange zest in my wagon wheel cookies which will be featured alongside my Wild West cupcakes. WOW – This is a GREAT idea. I have a food dehydrator that I have used to dry my herbs and it has worked wonderfully but I never thought to use it for this. Thanks for sharing this, I will certainly be giving it a try…with lemon peels as well. Wow, that is really clever! I always skip recipes that have zest in them if I don’t have citrus on hand, but now my recipe options will be limitless! Thanks for the great tip. when I first started food blogging, I posted a herbed salt recipe, and said you can use sugar and zest the same way. This is much easier than my way, though not as sweet I would think. I have a grapefruit sitting in my fridge right now… Do you think it would work for grapefruit as well? Have you tried it, or heard anyone using grapefruit zest before? Nel, I think that grapefruit zest would be a delightful twist in many recipes! Let us know how it works out. What a genius idea. Thanks so mcuh for sharing this wonderful tip with us. Virginia – Oh, that’s a perfect use for a dehydrator. I don’t have one, but my dad does and he brings us dried bananas whenever we see him. So yummy! NEL – I haven’t done it with a grapefruit, but I don’t see why it wouldn’t work. Go for it! What a great idea, I always get rid of them. Now I know what to do. What a great idea, I’m definitely going to use this tip. I made extract with the rinds before. I would never think of making them into powder. This is definitely a great tip! Too many times have I just thrown rinds away or never used the fruit before it went bad… never again! This was extremely helpful! I like candied orange peel, too! what a fantastic idea.. waste not, want not! I zest the fruit with a microplane and leave the zest out on a dish until it’s dried out; overnight usually does the trick. Then pop it into a zipper bag and toss it in the freezer. The zest dries faster and it’s less work. It is harder to measure, though, since the dried zest is fluffy. Then again, I’ve never actually measured fresh zest. I just put as much as I feel like in a recipe. More is better! I love using every usable part of food, especially when I spring for the organic stuff. so cool! totally going to try this one! This is awesome! Do you think I can use a food processor to grind it after dry? 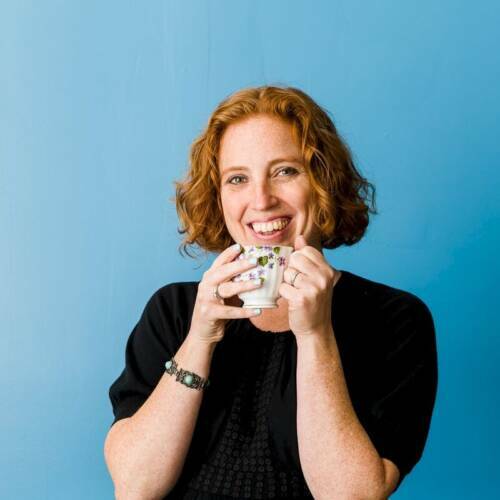 Annie – Yes, that’s how I did it. Does this work as well with Meyer Lemons? I have found that freezing the zest works really well too. I just use my micro-planar and zest my oranges and lemons. I then put about 1-2 tsp amount into each section of an ice cube tray. And freeze them overnight. Putting them in the ice cube trays makes it so you have little chunks of zest in about the right quantities for recipes. I then throw the zest cubes into a freezer ziploc bag for use when I need it. We use the cubes all the time and are very happy with how much flavor stays in tact in the freezer. Amy – It definitely would! Great idea! You think tangerine zest can also be good? You completely forgot one very important point: This should ONLY be made with peels from organically grown fruit, or you are eating an awful lot of known to be dangerous chemicals and waxes. I love this idea! I’ll bet the dried zest is good stirred into hot tea. 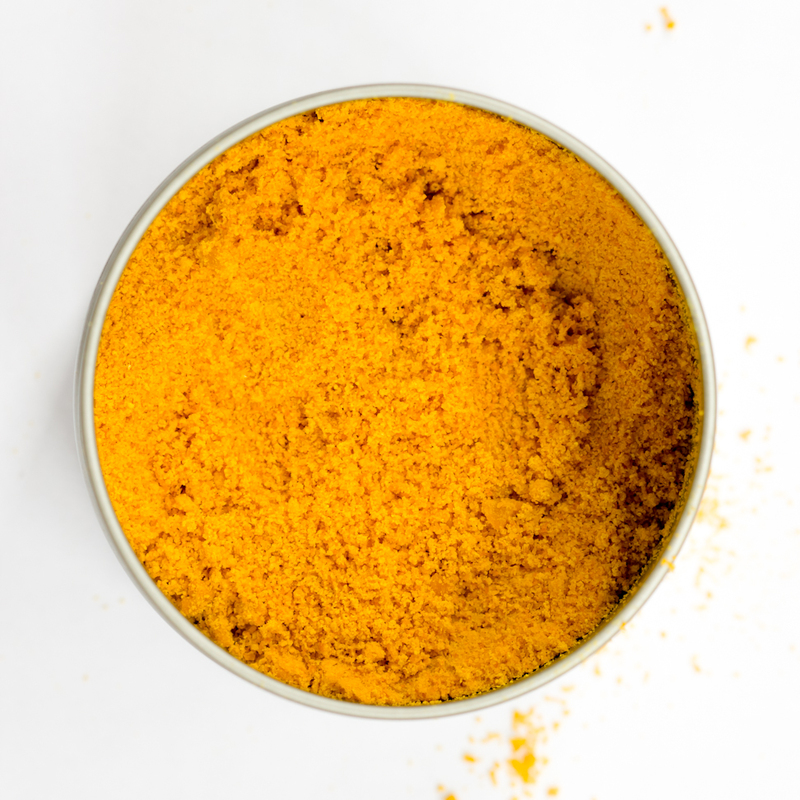 I don’t have a grinder or mortar/pestle – would the blender work? It depends on the blender. I think it would work in something powerful, like a Vitamix. But, I’m not sure about a regular blender. Good idea; I usually freeze the peels and later boil to freshen my home especially in the winter. How do you keep the rinds until you have enough to dry? Ziplock or jar in the fridge or start a freezer container and add until the container is full? What do you use to store the powdered zest in? Unfortunately, this method does not yield dried zest. The difference between true zest and peels is that zest contains essential oils. When you dry/dehdryate the FRESH peels, you destroy the essential oils. 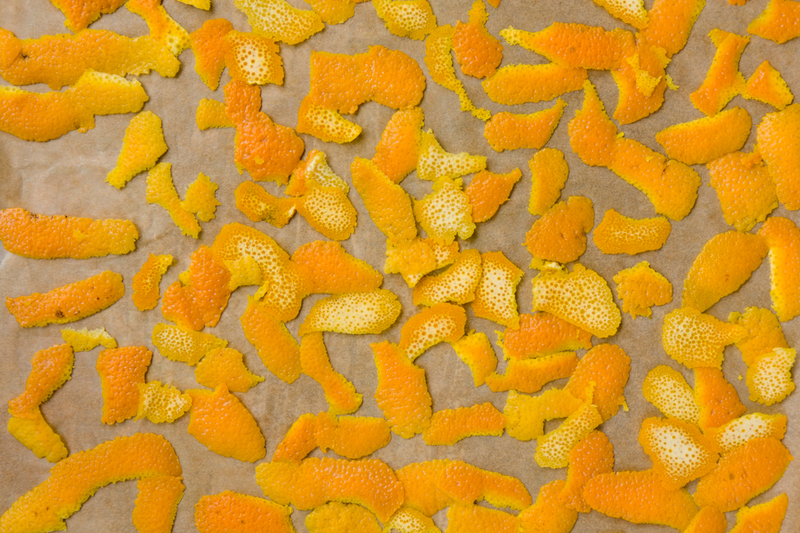 The end product in this example is dried/ground orange PEELS, not zest. It can’t be zest without the essential oils. 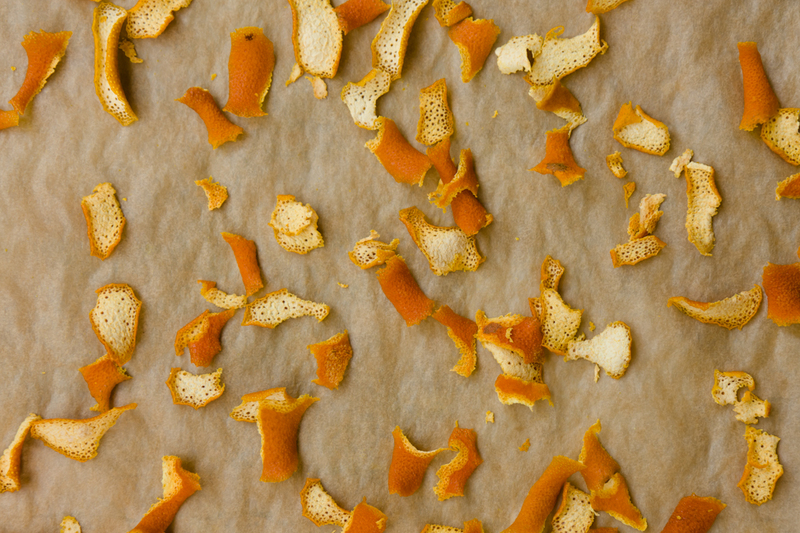 Freezing peels is the only way to preserve peels you plan to use for zest. When needed, thaw the peels and use a zester to remove the outer layer. dried curry leaves. Not the curry mix which sometimes contains cinnamon (I’m allergic to it)but the curry leaves which have been dried. Fantastic flavor. Why not make your own version of the curry mix? Much better when it contains the flavors you love. What a great idea! Dried grapefruit peel in the secondary ferment for grapefruit beer. I am a composter, but this is a great idea! Thanks, I can’t wait to try it! I’ve read that citrus is one of the things NOT to put in compost. I think it is probably because citrus does discourage “bugs” and likely the organisms that act on your compost. Might want to check into this before you try it. Fabulous idea. Thanks so much. “Don’t Throw Away Your Citrus Rinds – Dry and Save Them For Recipes That Call for Zest! Peel off the rind before eating or juicing your fruit. Try not to get too much of the white – it’s bitter.” This part is easy to follow, but the peel without the pith, the white stuff, is impossible. How do you do it? Try using lime rinds minced after drying in an I oil spice bottle. Add some crouse ground pepper. Tighten the lid and you have a new mix to put on chicken and fish! I got the idea after buying a bottle only to never find it again! Tangerine could work well too! Sounds wonderful! Thanks for the idea! Great idea! I think it would really add a boost of flavor to my homemade orange marmalade!! I love this idea!! I have two orange trees. One blood orange, the other naval oranges. I’m up to my ears in marmalade and have been looking for ways to use my oranges. Thank you! Mix a little of the dried rind in sea salt and put out on the table when serving to be sprinkled on. I love a little of the lime salt sprinkled over a watermelon spear. Makes a great appetizer. I bought a great zester, So I do not save the rinds. I air dry the zest, store them in a freezer bag. Citrus zest is always a great way to get your daily dose of Vitamin C too! You can put it in capsules or mix it in your healthy smoothies. You will compost “one of these days”? throwing a few rinds away is minor compared to the larger pic. Just get a tumbler, easy. but the tip is good.